Sign up for our Homeschool Herald e-newsletter. Homeschool families have several options for learning about 17th-century life at Jamestown, America’s first permanent English settlement, and 18th-century colonial America and the Revolution. Find the option that fits your curriculum and schedule. 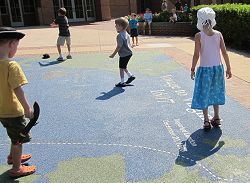 Includes age-appropriate hands-on programs for students and family guided tours at both museums, as well as admission to Jamestown Settlement and the American Revolution Museum at Yorktown throughout the program dates. Can’t visit during Homeschool Program Days? Our homeschool daily rates are for home educators with their students and are valid for one visit per museum. Purchased only onsite at Jamestown Settlement and the American Revolution Museum at Yorktown. One visit per museum. Not valid during Homeschool Program Days. Valid homeschool identification must be presented at check in. The homeschool daily rate is not valid during Homeschool Program Days, May 20 – June 2, 2019 and September 7-22, 2019. Homeschool families can join together to book an educational tour for groups of 15 students or more. See our selection of general and enhanced group programs. Learn more. 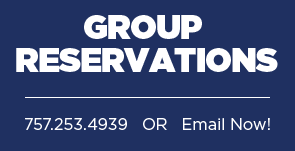 To book a tour or program, contact reservations: (757) 253-4939 • (888) 868-7593 • fax (757) 253-4997 • group.reservations@jyf.virginia.gov Hands-on classroom programs and tours require advance reservations and are subject to availability. A homeschool identification card is needed for the special admission pricing, there are several websites that will allow you to create an id card.